I just discovered a site called Folksy. Am I behind the times? After only a brief perusal of the site, I found this stunning purse made from mitered squares. 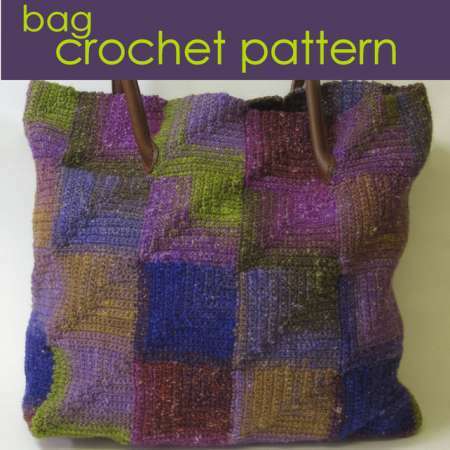 The pattern sells for three pounds and is the design of designer Claire Crompton. One of the wonders of our modern interconnected world is that we can purchase patterns from across the ocean and get them sent to us with the click of a key! I have crochet friends on four continents and learn from each of them. I actually was able to meet one in person during my last, all too brief, trip to India. That was crazy fun! So, I’m going to spend some time nosing around Folksy.com to see what I can see. Even if I must translate that UK crochet terminology into US crochet terminology, it’s still an amazing thing!